Our team was founded in 1987 by Bob Dowling. We have continued to grow and perform since then. For anyone unfamiliar with show skiing, it is made up of exciting acts that are not normally seen in recreational water skiing. These acts include barefooting, ballet line, doubles, swivel skiing, and pyramids up to four tiers high. Throughout the summer, we perform our themed shows at our home site on Big Lake in Davisburg, Michigan. 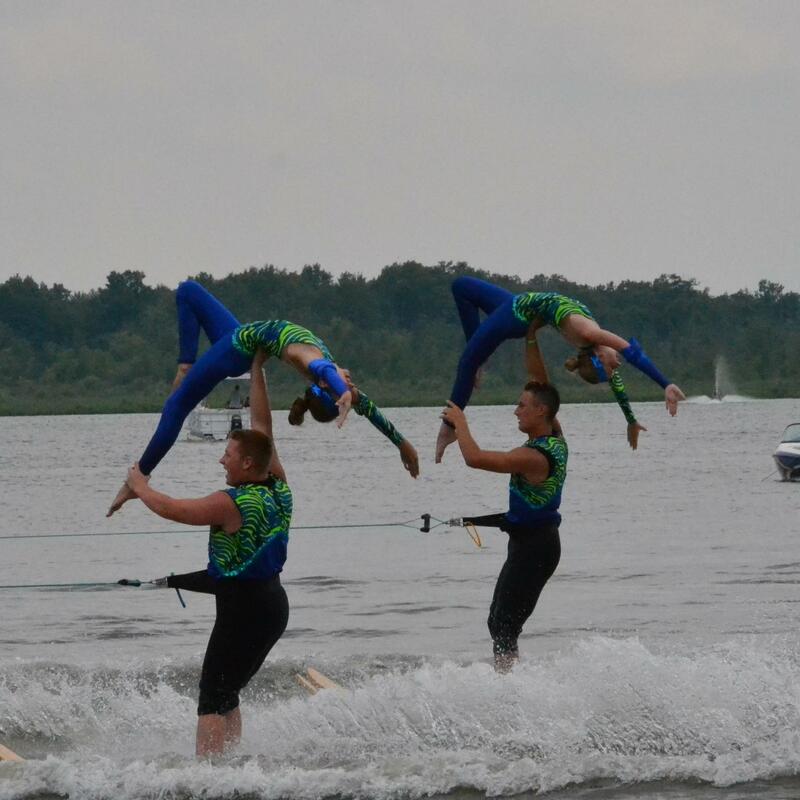 We also perform numerous shows for other lake associations and organizations around the state. Furthermore, Spray Masters is a part of the National Show Ski Association (NSSA). The team competes in several tournaments each summer as a team as well as individual performances. The team starts preparing for each season before the ice is even off the lake. Beginning in February we practice in a gym learning the new moves we are going to perform that year. We practice pyramid climbing, doubles, trios, showmanship and dances. We usually start water practices in May and practice twice a week on Tuesdays and Thursdays throughout the summer. Our first show is usually in late June, and continue through late August. We are excited to be planning our 2019 season! Please follow us on Facebook for up to date information on upcoming shows!! If you are interested in joining us, please contact us for more information. All are welcome!